The B-2 provides the penetrating flexibility and effectiveness inherent in manned bombers. Its low-observable, or «stealth», characteristics give it the unique ability to penetrate an enemy’s most sophisticated defenses and threaten its most valued, and heavily defended, targets. Its capability to penetrate air defenses and threaten effective retaliation provides a strong, effective deterrent and combat force well into the 21st century. The revolutionary blending of low-observable technologies with high aerodynamic efficiency and large payload gives the B-2 important advantages over existing bombers. Its low-observability provides it greater freedom of action at high altitudes, thus increasing its range and a better field of view for the aircraft’s sensors. Its unrefueled range is approximately 6,000 NM. The B-2’s low observability is derived from a combination of reduced infrared, acoustic, electromagnetic, visual and radar signatures. These signatures make it difficult for the sophisticated defensive systems to detect, track and engage the B-2. 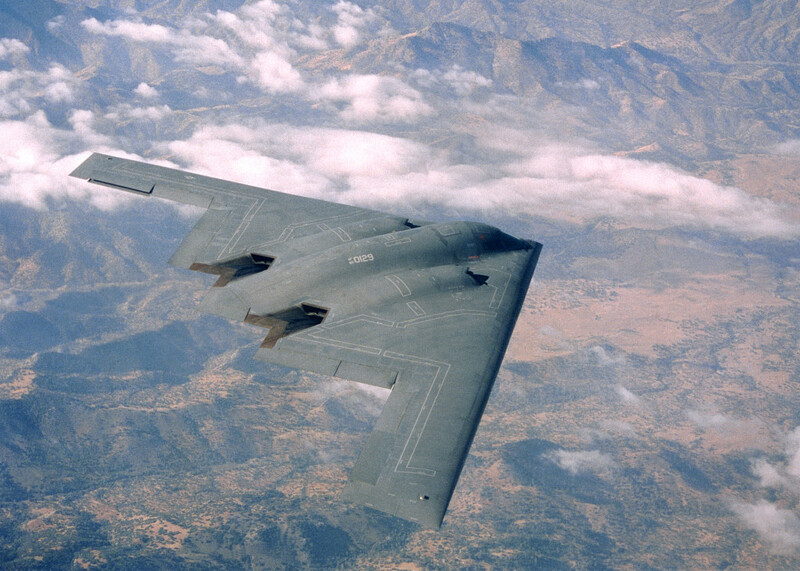 Many aspects of the low-observability process remain classified; however, the B-2’s composite materials, special coatings and flying-wing design all contribute to its «stealthiness». The B-2 has a crew of two pilots, a pilot in the left seat and mission commander in the right, compared to the B-1B’s crew of four and the B-52’s crew of five. 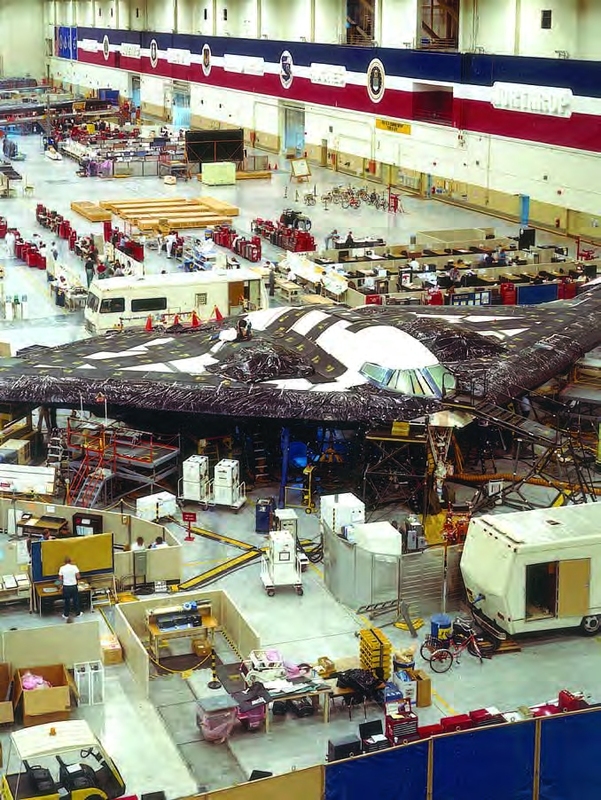 The first B-2 was publicly displayed on November 22, 1988, when it was rolled out of its hangar at Air Force Plant 42, Palmdale, California. Its first flight was July 17, 1989. The B-2 Combined Test Force, Air Force Flight Test Center, Edwards Air Force Base, California, is responsible for flight-testing the engineering, manufacturing and development aircraft on the B-2. Whiteman AFB, Missouri, is the only operational base for the B-2. The first aircraft, Spirit of Missouri, was delivered December 17, 1993. Depot maintenance responsibility for the B-2 is performed by Air Force contractor support and is managed at the Oklahoma City Air Logistics Center at Tinker AFB, Oklahoma. The combat effectiveness of the B-2 was proved in Operation Allied Force, where it was responsible for destroying 33 percent of all Serbian targets in the first eight weeks, by flying nonstop to Kosovo from its home base in Missouri and back. 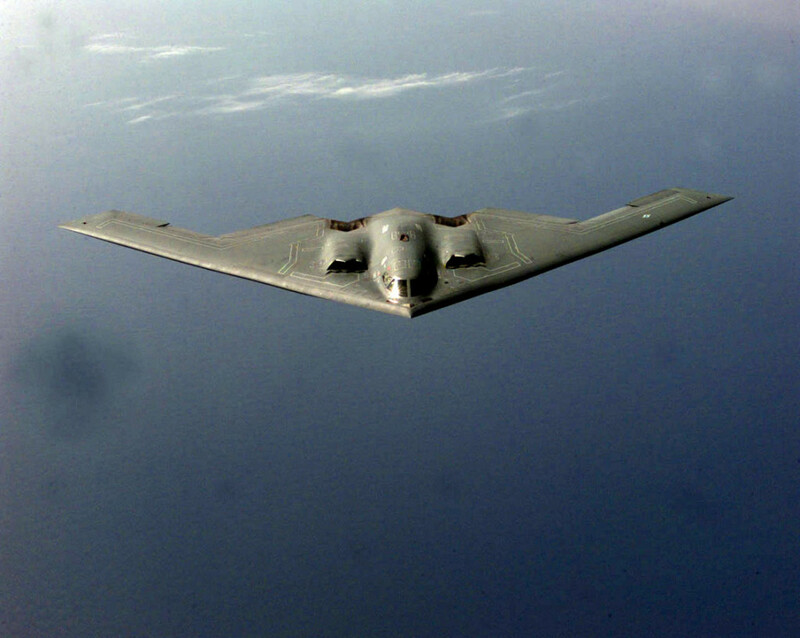 In support of Operation Enduring Freedom, the B-2 flew one of its longest missions to date from Whiteman to Afghanistan and back. The B-2 completed its first-ever combat deployment in support of Operation Iraqi Freedom, flying 22 sorties from a forward operating location as well as 27 sorties from Whiteman AFB and releasing more than 1.5 million pounds/680,389 kg of munitions. The aircraft received full operational capability status in December 2003. On February 1, 2009, the Air Force’s newest command, Air Force Global Strike Command, assumed responsibility for the B-2 from Air Combat Command. The prime contractor, responsible for overall system design and integration, is Northrop Grumman Integrated Systems Sector. Boeing Military Airplanes Co., Hughes Radar Systems Group, General Electric Aircraft Engine Group and Vought Aircraft Industries, Inc., are key members of the aircraft contractor team. A «smart bomb rack assembly» that gives the B-2 the ability to deliver 80 «smart» (GPS-guided) Joint Direct Attack Munitions (JDAM) weapons on a single pass, and increases its capacity to deliver precision guided weapons by a factor of five. 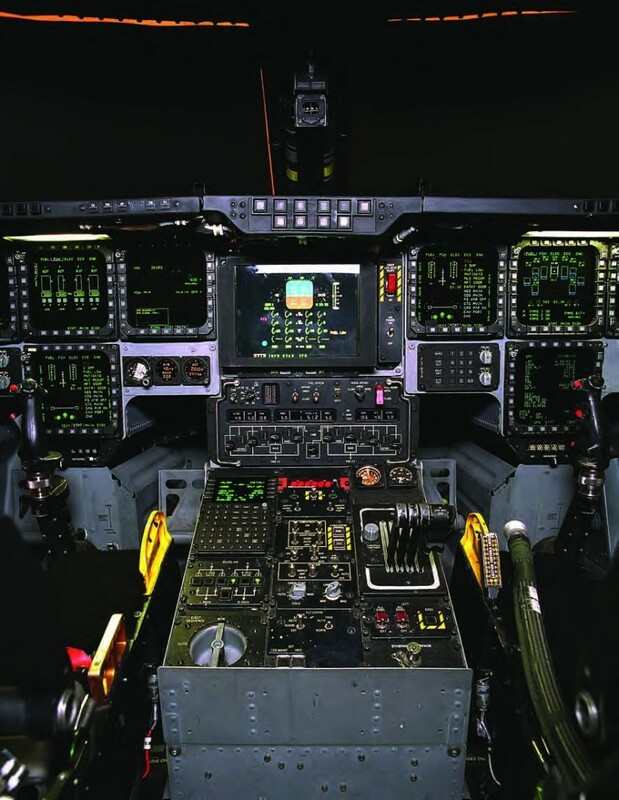 Integration of a Link 16 line-of-sight tactical communication system that significantly improves B-2 pilots’ ability to share critical targeting and threat information and maintain real-time awareness of the battle space. A multi-year radar modernization program that will design and integrate a new Active Electronically Scanned Array (AESA) radar antenna on the aircraft. Raytheon Co., which provided the original B-2 radar, is the principal subcontractor on this program. Development and integration of an EHF (Extremely High Frequency) satellite communications system that will allow the B-2 to send and receive battlefield information with joint commanders around the world up to 100 times faster than today. Integration of a 30,000 lbs/13,608 kg-class penetrator weapon that will allow the B-2 to attack and destroy hardened, deeply buried targets. Application of a specially formulated surface coating that has significantly reduced B-2 maintenance time and improved the fleet’s operational readiness. The F118 story starts with the F101 engine, which was originally developed for the Advanced Manned Strategic Aircraft program, which became the B-1 bomber. 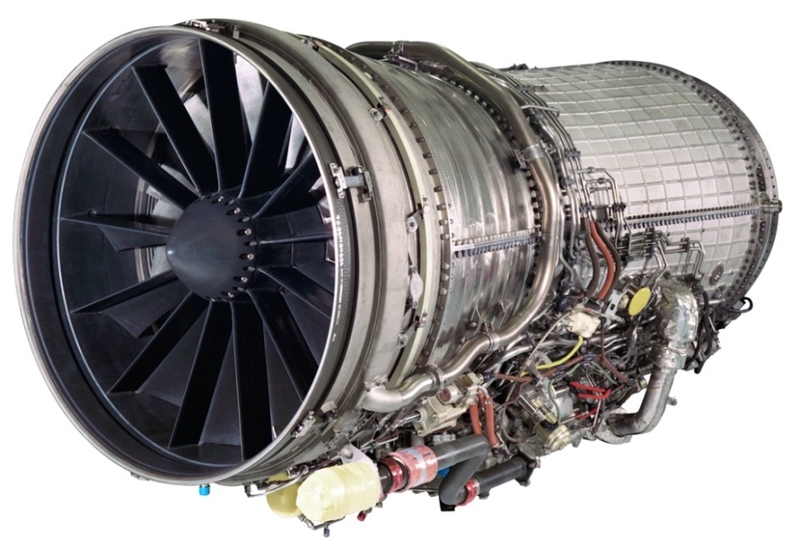 Utilizing the same core design as the F101, the F110 and F118 derivative engines were created by developing new low-pressure systems to tailor engine performance to the desired aircraft application. In 1988, the U.S. Air Force unveiled the Northrop B-2 stealth Bomber, powered by four F118-100 engines. 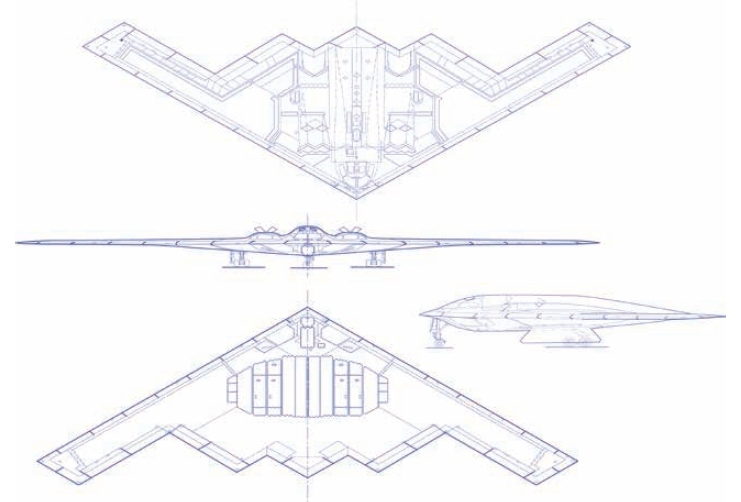 The B-2 stealth aircraft flying wing design was very similar to an experimental aircraft that was developed by Northrop in the 1940s – the YB-49A – which had been powered by eight GE J35 engines. Flight-testing of the F118 began in mid-1989 and in 1991 the B-2 was awarded the Collier Trophy for the greatest achievement in aeronautics and astronautics. The F118-100 produces 19,000 lbs of thrust, but has no afterburner to minimize the possibility of detection. Another application of the F118 engine is the U-2S. The U-2S is the result of re-engining a U-2R aircraft with a F118-GE-101. The F118-101 produces 17,000 lbs of thrust and offers engine weight reduction, an improved hot section design that extends the interval between overhauls, added operational utilization and lower life cycle costs.